GPs in the north warned of a looming recruitment crisis in many remote communities following yesterday’s controversial decision. 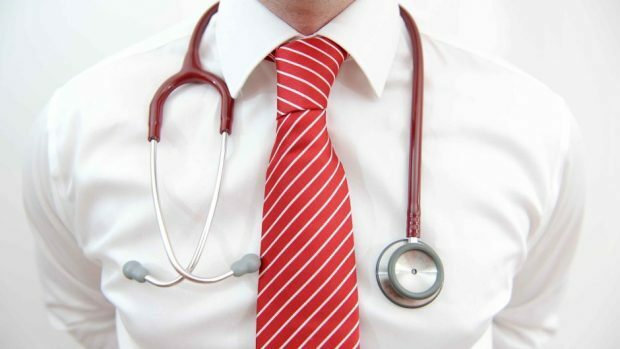 A nationwide poll of doctors found more than 71% were in favour of adopting the new deal, which was drawn up by the Scottish Government and the British Medical Association (BMA). But the Scottish Conservatives raised concerns after it emerged that turnout in the crucial vote was under 40%. The new agreement – which is backed with £100million of Scottish Government funding in its first year and will come into force on April 1 – aims to cut workload and make it easier to run practices, including introducing a fund to help doctors buy or lease premises, and bringing in measures to reduce the burden of paperwork. Health Secretary Shona Robison described it as “historic” yesterday. However, concerns were raised that the new funding formula would be based on the number of appointments, and does not factor in challenges faced by rural GPs such as travelling to patients and practices. The Rural GP Association of Scotland (RGPAS) claimed in the run-up to the vote that it would inevitably lead to the “extinction” of practices as 90% of surgeries in rural areas would have their allocated funding reduced, by up to two-thirds in some cases. Last night, Inverness-based Dr Iain Kennedy, secretary of the Highland Local Medical Committee, expressed disappointment at the result. “I have little doubt that there will be a negative impact in Highland. What our members have told us is that what they are most concerned about is the future recruitment and retention of GPs,” he said. “Highland practices are seeing almost nothing of the £23million investment promised and there will be a perception among younger doctors that Highland is not an attractive part of the country to go to because there are less resources. The fears were echoed by Dr David Hogg, chairman of RGPAS, who said: “Rural GPs are used to working in resource limited settings, and delivering healthcare in difficult circumstances. “It is disappointing that the proposals will make these circumstances even more challenging. “The concerns raised by RGPAS about maintaining rural health services appear to have been ignored, and look set to remain so until they can be addressed in phase two of the contract. Concerns about the turnout in the vote were raised last night by Scottish Conservative Shadow Health Secretary Miles Briggs, who said: “While we welcome the acceptance of the new contract, it is very disappointing that the total turnout was below 40%. Dr Alan McDevitt, chairman of the BMA’s Scottish GP committee, said “inevitably” not all doctors would back the changes, and that a working group would be established look for “further ways in which rural general practice can be supported”. Health Secretary Shona Robison said: “This new contract, which is a historic joint agreement between the Scottish Government and the BMA, will ensure that GPs are able to spend more time with patients and less time on bureaucracy.